Logan • Utah State’s players found out about an hour before tip that visiting New Mexico had only seven players available for a Mountain West men’s basketball contest Wednesday night. So it was established for the Lobos. The home Aggies, however, ended up with almost the same kind of limited rotation and it was the player with the most minutes who did the most damage. Sophomore guard Koby McEwen never exited the floor at the Glen Dee Smith Spectrum, scored a career-high 31 points, grabbed 13 rebounds and let Utah State to an 89-80 victory. McEwen started the game with eight straight points for the Aggies. He ended up sinking six of his eight tries from beyond the 3-point line — including a banked 24-footer that Weir referenced that gave Utah State (13-11, 6-5) a 70-55 lead with 10:25 remaining. New Mexico (11-12, 6-4) also fell behind by 15, at 79-64, when McEwen drove into the lane and put in a high bank layup with eight minutes remaining. But the Lobos, led by Anthony Mathis’ 25 points and 21 more from Chris Neal, stormed back. When Troy Simons drove the baseline for a slam with 57 seconds left, the score was 83-80 for Utah State. On a feed from McEwen, who also had six assists, Quinn Taylor put in a shot with 32 seconds on the clock and was fouled. On the subsequent free throw, with every other Utah State player on the other end of the court, Taylor missed the try but had the ball bounce between four Lobos right to him. That led to another New Mexico foul and two free throws by McEwen for an 87-80 lead with 26 seconds remaining. “I think I about took two steps backward, and the ball bounced right back out to me,” Taylor said. “I was lucky enough; if I miss the free throw, I like to get the rebound. “I got lucky,” he added. Taylor finished with 15 points and was in the right spot several times for key rebounds and baskets to finish off sharp passes from teammates. “Quinn wants to be a coach and he does a lot of plays that don’t show up in the stat sheet,” Utah State coach Tim Duryea said. “He was Johnny-on-the-spot a couple of times for offensive rebounds. The Aggies coach said his decision to limit his own bench — all five of his starters played at least 32 minutes — developed as the game progressed. Utah State is now on a three-game winning steak after dropping their previous four. The Aggies have a full week off before playing at Wyoming next Wednesday. “I need this break,” McEwen said. • Koby McEwen scores a career-high 31 points and has 13 rebounds for the Aggies while Sam Merrill adds 18 points. • New Mexico, with only seven players dressed for the contest, is led by Anthony Mathis’ 25 points. 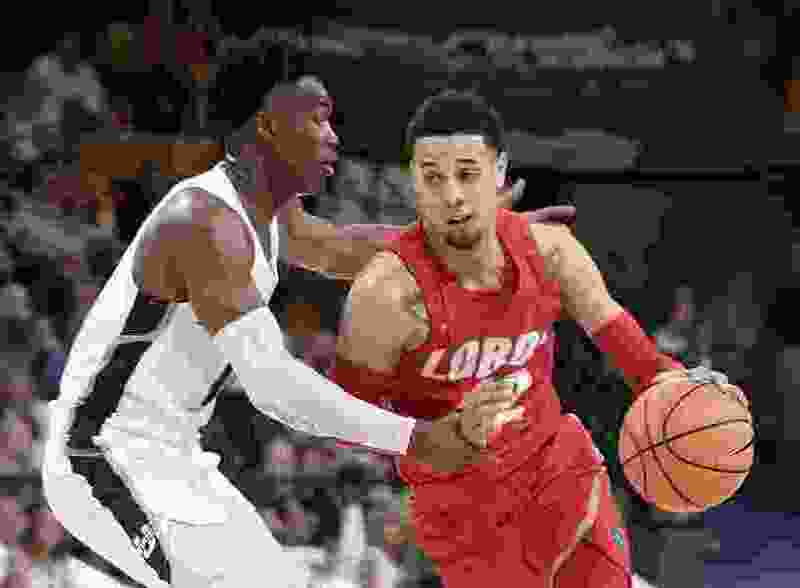 • The Lobos trail by 15 twice in the second half, reduce the deficit to three in the last minute before Utah State scores the last six points of the game.